The Alluring, Entrancing "Northern Lights"
Northern Lights is a professional versatile laser multimedia studio located in Sault Ste Marie, Ontario, Canada. Northern Light's laser multimedia studio personnel are dynamic, innovative, creative, driven, entertaining, resourceful, passionate leaders who specialize in producing and developing professional custom laser projected animated marketing/digital signage for any organization (indoors/outdoors). Lasers are a superb high impact, effective, high visibility marketing tool that captures your emotions when advertising at fundraisers, trade shows/exhibitions, promoting tourism, corporate branding, acknowledging sponsors, sport teams and suppliers. We can reproduce and project corporate logos, animate graphics and text messaging with special laser effects in full color, scaleable to any size against any facade (inflatable screens, scrims, buildings, water fountains). Northern Lights can add special effects during live stage shows and scale laser animated advertising to any facade. Fill and cover your ski hill/mountain with laser images/logos during night skiing. Great way to market your resort and area businesses. Lasers bring a new era in luminescense color projection technology. New innovative emerging information communication technologies (ICT) are developing an advanced laser technology revolution. Northern Lights offers an array of complimentary value added immersive multimedia services/applications to attract visitors and local audiences to various community operators. Hotel/resorts, theatres/auditoriums, art/cultural centres, science centres, sport entertainment centres, community centres, banquet halls, concerts, nightclubs and scheduled events/shows by presenting a unique multimedia entertainment format (before, during and after) your main event. Event digital marketing using multimedia AV is by far the most successful method and the only high impact choice of promoting, advertising/marketing products and services. It appeals to all of our senses and delivers a stimulating message better than any traditional media. Local community operators such as Kiwanis Community Theatre, The Machine Shop, The Tech, Grand Theatre, Essar Centre are all suitable venues to host immersive multimedia entertainment. Northern Lights can customize a laser animation for your wedding, graduation, pubs, opening/closing ceremonies, special holiday, engagements, fashion shows, car shows, ice capades, proms, birthday parties, christmas parties, dance recitals & competitions, trade shows, indoor monster truck rallies, rodeos, public events, festivities and celebrations, conferences, concerts or concert tours, live symphony performances, dances and theatres. The latest laser trend and video is 2D/3D projection mapping. Northern Lights can create 2D/3D colorful projection mapping of irregular shapes, surfaces and objects into interactive advertising/promotional displays to highlight, accentuate, animate and create exquisite special effects. Northern Lights can travel to educational facilities to participate in school activities or entertain school groups, compliment Nightclub DJ music services and Karaoke by adding the "WOW FACTOR" to your activities, We can customize a personal laser animation or perform special effects to be viewed by your closest invitations to your wedding or reception. Northern Lights Laser Multimedia Studio can create excitement and fantastic laser visuals synchronized to recorded music at your Christmas/New Year's Party, Valentines Day,Canada Day or any themed celebration. We can also create special lighting effects to live symphony concerts, live stage performances, and theatrical productions. 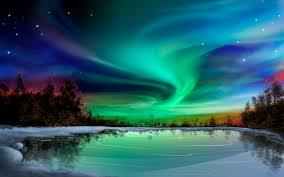 Northern Lights engages audience participation using interactive video messaging during our "Twilight Theatre" shows. Bring your smart phones and join the fun. We encourage the audience to participate by interacting with each other or by texting comments/requests or shout outs on screen during the shows. Text a message and have it projected at your next event by using our interactive video messaging service. Advertise your business images and text using the sms technology all while your audience can comment in real time or make requests. Interact with your audience and survey their responses by getting direct feedback. Audience text messaging can be displayed by laser projection, multimedia projection, LCD jumbo tron or digital video displays (flatsceens). Direct mobility promotions, announcements and advertising can be sent to your event text users through bulk sms. Do you have a genuine passion or perhaps a general interest in motion graphics, visual laser animated storytelling driven from a curious creative spirit. Do you have creative abilities, artistic talents able to entertain with digital animated laser vector graphics. Northern Lights laser multimedia creative collective called Aurora3D is a creative catalyst inspiring curiosity offering free online accessibility to (2D/3D) laser designer software to apply and develop skills necessary to become an inspired accomplished independent multimedia artist. 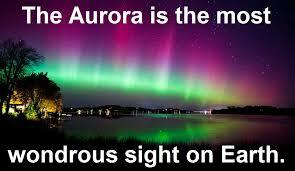 Aurora3D's collective common purpose is to entertain with laser multimedia. Claim your independence and unlock your inner creativity, nurture, enrich and explore the essence of discovery. Seize the moment and enroll to Aurora3D for online laser animation learning with free lifetime laser multimedia creative collective accessibility. Our strategic alliance offers web based digital laser animation learning using Pangolin's award winning laser designer animation software provided by Northern Lights. Join the digital economy. Discover multimedia laser animation online learning offered by Aurora3D. Aurora3D animation participants receive free lifetime remote online access to Aurora3D's VAGA server to enjoy, apply, learn, discover, experiment, produce, conceptualize/create/edit/draw and program a professional montage of your own laser frames (beams, graphical animations or laser over video) as an independent self employed, self directed multimedia artist. Your creative talents, versatility, humour, style and multimedia material shall reside on our creative collective home which is VAGA (Virtual Animation Gallery Of Algoma) for exclusive control of exhibition and commercial distribution by Northern Lights. Northern Lights Laser Multimedia Studio will be celebrating and hosting its annual Algoma Amateur Animation Awards. Registered multimedia artists from Aurora3D are all eligible laser animation entries competing to for the title of "Laser Animation of the Year". The winner will be declared by the viewing audience by interactive video messaging voting. Results will be displayed in real time for the audience to see results. Award winners will receive prize money, accolades and professional recognition amongst freelance peers. Aurora Multimedia is a fully qualified electronic service centre technically equipped to service, repair, calibrate, test/troubleshoot, support A/V multimedia equipment, computers, laser controllers/hardware, projectors and associated electronic equipment/cables. Embark On An Enchanting Journey, Witness The Elusive, Elegant "Northern Lights"
Northern Lights "Twilight Theatre" is an interactive immersive laser multimedia offering a public leisure laser entertainment venue.Twilight Theatre offers an entertaining public venue to unwind, enjoy, listen, dance, share and relax to a cross section of memorable melodies under the Northern Lights. Flashback to your era and take pleasure in a social event of spectacular, vivid, vibrant laser effects during the streaming of our onscreen web music video playlist. 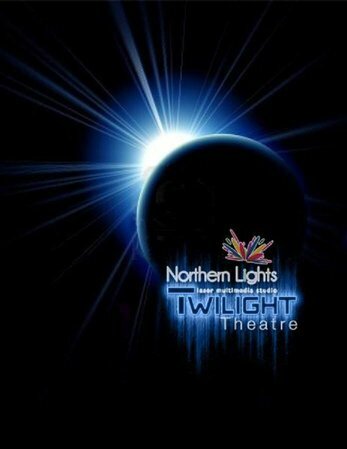 Northern Lights "Twilight Theatre's" immersive laser multimedia entertainment is licensed by SOCAN to entertain from our growing playlist of recent and classic nostalgic music videos. Your onscreen majority audience video sms messaging voting will guide, influence, select and decide the music video genre format using your personal smartphone or ipad. Laserists will perform, brilliant live animated laser beam/abstract optical effects modeling and replicating the captivating, alluring northern lights immersed into haze/fog during the viewing of the music videos. Whether you are a baby boomer, generation X or a millennial bring your smart phones/ipads to participate, meet new people, chat anonymously, dance, connect with others by text messaging onscreen, make specific requests/playful comments, rants, birthday shout outs and enjoy a social atmosphere at a truly fun filled unique northern attraction. is monitored to block offensive remarks from audience sms users. Show Times - 8:00 p.m. - 10:00 p.m.
Great time, lots of fun. © 2019 Northern Light Lasers. All rights reserved. Powered by Miramar Design Studio Inc.